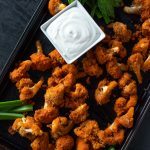 The Best Buffalo Cauliflower Wings - Full of Crunch & Spice! 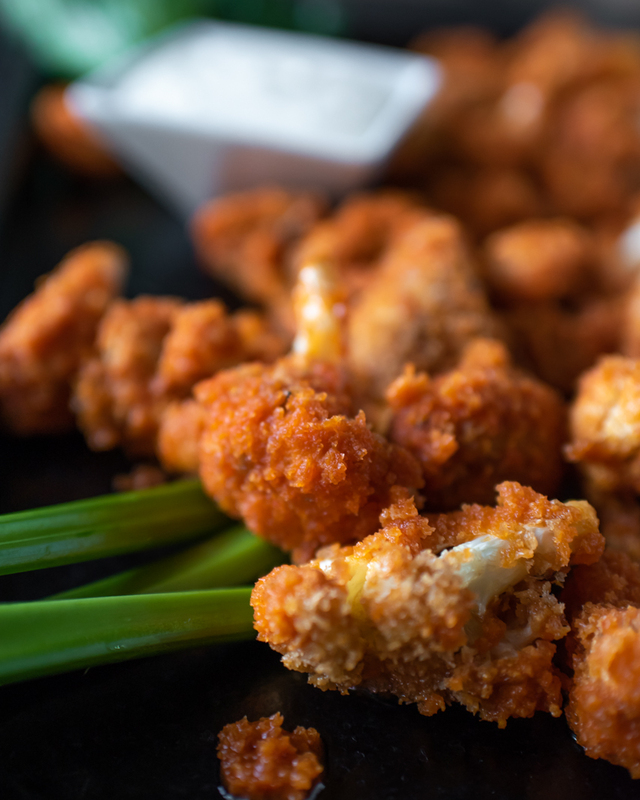 You better believe that I’ve got the best buffalo cauliflower wings for you this week! Most of the time, the recipes that I come up with weasel their way into my brain, and the only way to stop obsessing over them is to make them. The seed is planted, and then eventually it gets to big to ignore. Does anybody else operate this way? I had been pondering and pondering about how exactly to make the best buffalo caulilfower wings. I’ve had some that I’ve absolutely loved, and I’ve had some that aren’t so great. I adore crispy, so that was definitely the route I was taking. 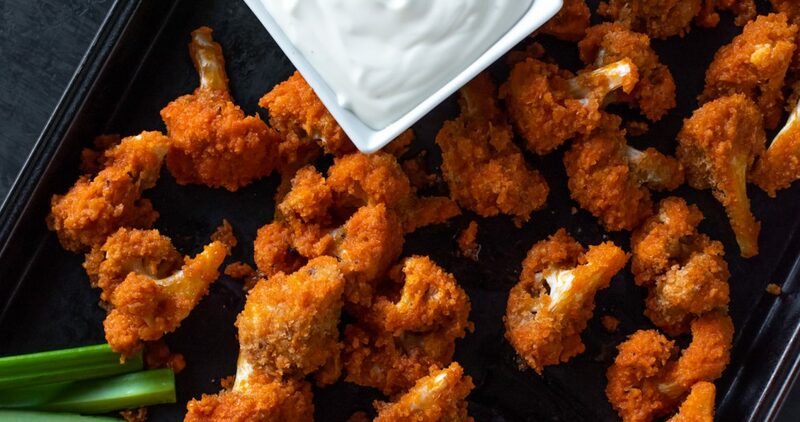 But how to get the crispiest cauliflower wings? I attest that to my time spent as a line cook at T.G.I.Friday’s. 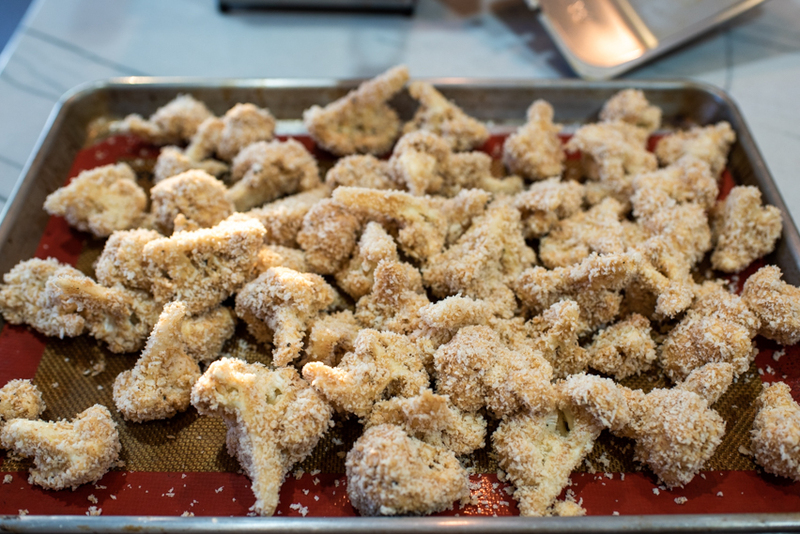 For the best crunch in the business, it’s imperative to go with the panko bread crumbs. That’s the real secret here. But how to get the panko to stick to the cauliflower? First, you’ll definitely need something sticky. 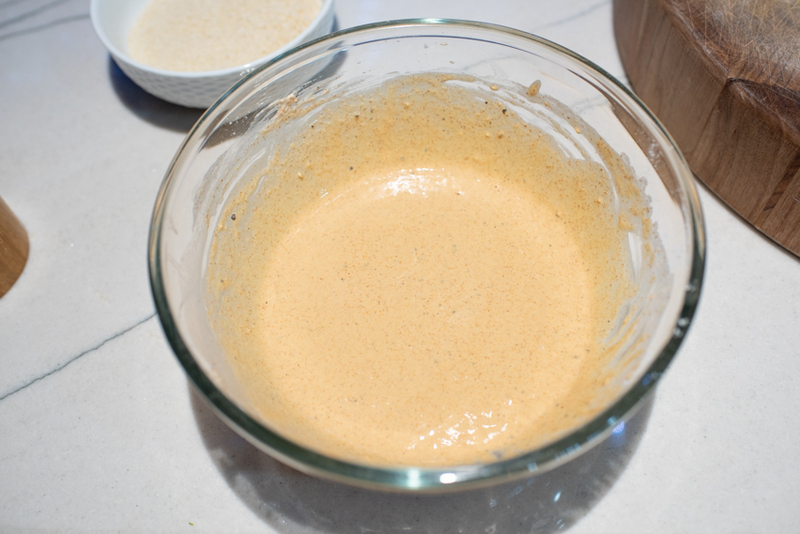 Mixing a batter that will be thick and sticky enough to really coat the cauliflower well with the panko breadcrumbs is key. From there, it’s all gravy, baby! After a quick chill in the refrigerator followed by a deep fry and dousing of spicy sauce, you’re ready for pure, exquisite delight! Ready for game-day, salad toppers, or simply the best dinner you’ve ever had! 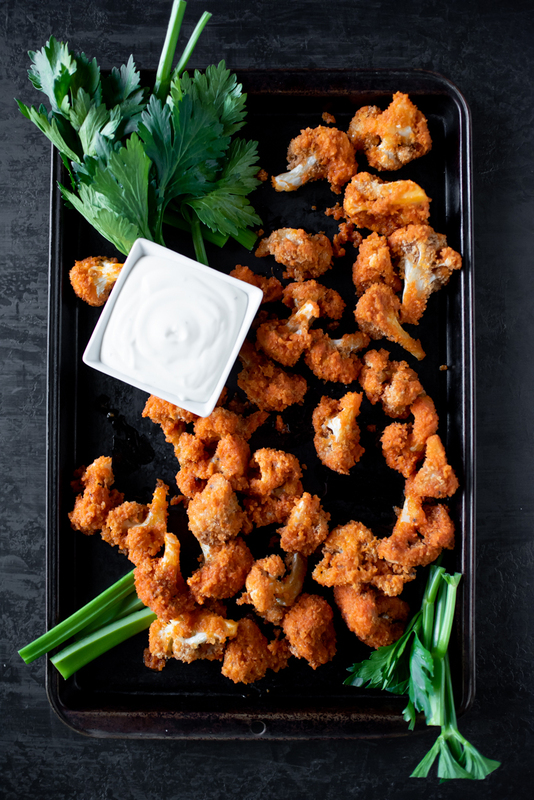 The best buffalo cauliflower wings you'll ever have! 1/2 Cup Vegan Butter, cut into 8 pats. Wash the cauliflower and cut into florets, and make sure you have a large cookie tray handy. 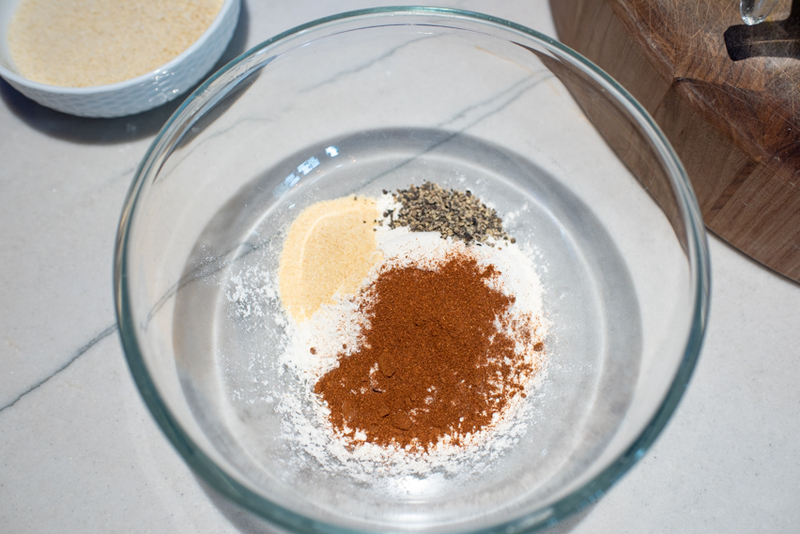 In a large bowl, mix the flour, garlic powder, sea salt, pepper, and hot Hatch chile powder until you have a smooth mixture. In a large shallow bowl, pour in 1 cup of the panko bread crumbs. 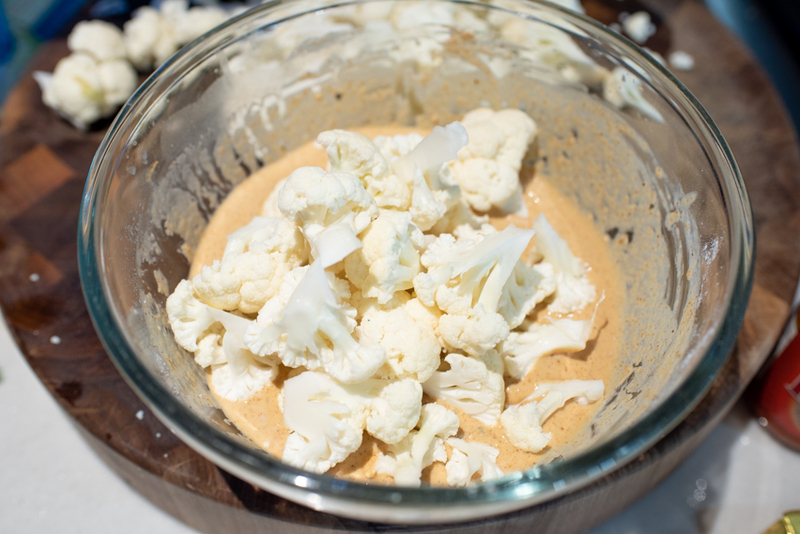 Place the cauliflower in the wet mixture, a few pieces at a time, coating thoroughly. Shake off any dripping batter before placing the pieces into the panko bread crumbs. Coat thoroughly, and place on the cookie sheet. Repeat until all the cauliflower is breaded, and place the cookie sheet in the refrigerator while you heat the deep fryer and make the sauce. Heat your deep fryer to 375°F. Heat a small saucepan over low heat, and add the cayenne pepper hot sauce, and butter. Stir until the butter melts, and keep over very low heat. When the deep fryer is ready, remove the cauliflower from the refrigerator. Fry in small batches, about 6-7 pieces at a time as to not over-crowd the oil, which could drop the temperature too low, causing a soggy cauliflower. Fry for about 4 minutes, turning occasionally, until they are golden brown. Have a very large bowl handy, and place the freshly fried cauliflower directly from the fryer to the bowl. Quickly ladle just a bit of sauce, about 3-4 tablespoons over the top of the cauliflower, and flip once. It's fine if the cauliflower isn't fully coated - this will prevent them from becoming very soggy. 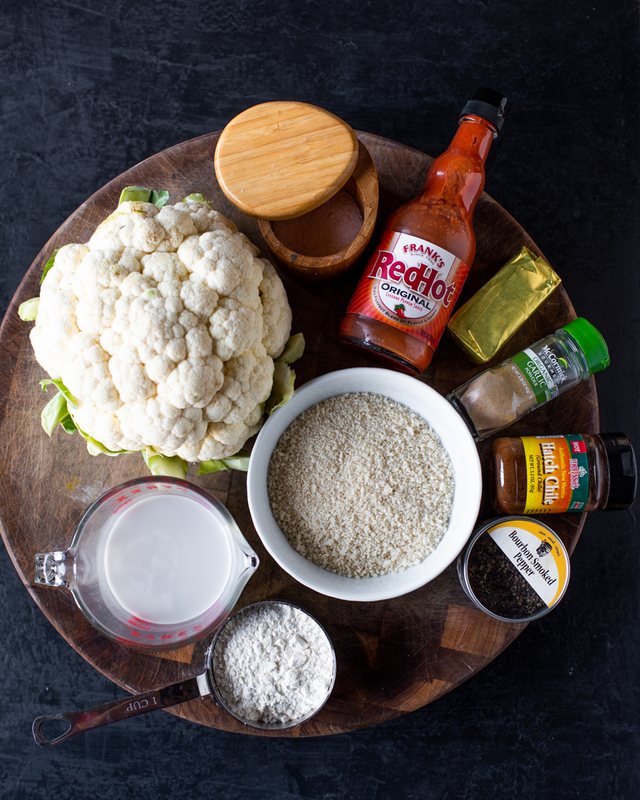 Remove to a paper towel lined plate to drain off any excess oil, and repeat with the rest of the cauliflower. Replace the paper towels if they become saturated with oil. Carefully plate on a serving platter, and serve with your favorite dressing and celery sticks! If you don't want the super-duper crispiness of a deep fry, and wanted to go a healthier route, you can bake these. Pre-heat your oven to 400°F. Follow the recipe exactly the same way, except add 3 tablespoons of olive oil to the panko breadcrumbs in a large bowl, and mix well. 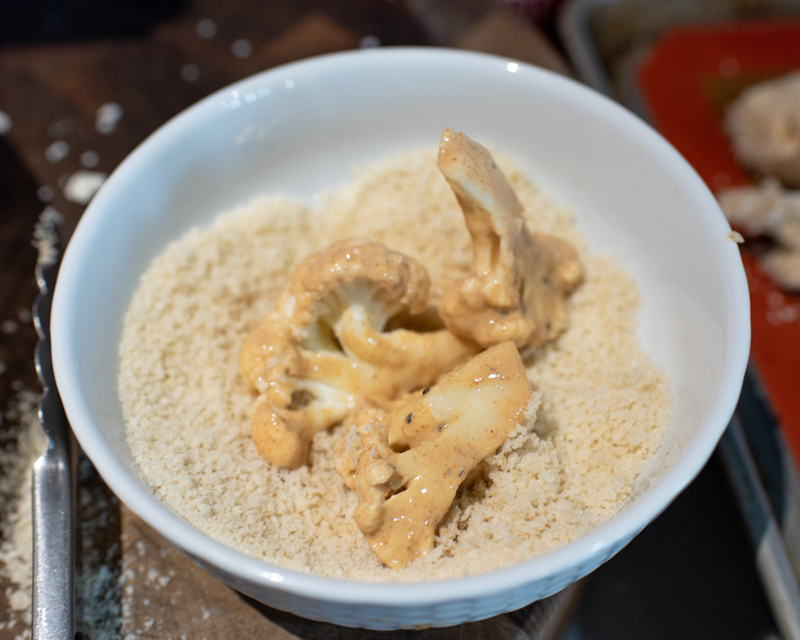 After dredging the cauliflower in the wet batter, coat them with the oiled breadcrumbs. Place on a cookie sheet and bake for 10-15 minutes, or until golden brown, and then drizzle them with the buttered hot sauce right on the pan. Flip once, and serve immediately! Previous Post: « Soulfly’s New Album Ritual Drops! This looks amazing! One question – in the recipe notes for baking them, it indicates “except add 3 tablespoons to the panko breadcrumbs in a large bowl” – is that 3 tablespoons of olive oil? Hello Leah!! Thank you so much, and THANK YOU for pointing that out. You are entirely correct! 🙂 I’ve corrected it in the recipe! I can’t wait to try these bad boys! Oh my gosh, I know EXACTLY what you mean about recipe ideas. That happens to me too. Well, I’m glad this one came into your brain and was executed because it sounds and looks amazing! Love it! So this is how the internet works: I was actually looking for information about growing boysenberries and onions together to see if they are good companion plants and SpecialtyProduce.com linked your Boysenberry Mojito recipe. I can’t drink anymore, but that’s beside the point; you had me at The Devil Wears Parsley, because I love a good pun. Or even an attempt at one. I’m now subscribed and can’t wait to see what else you cook up. Oh wow, Paula!! I love the internet like that. So glad you landed here!! Thank you so much for your kind words!